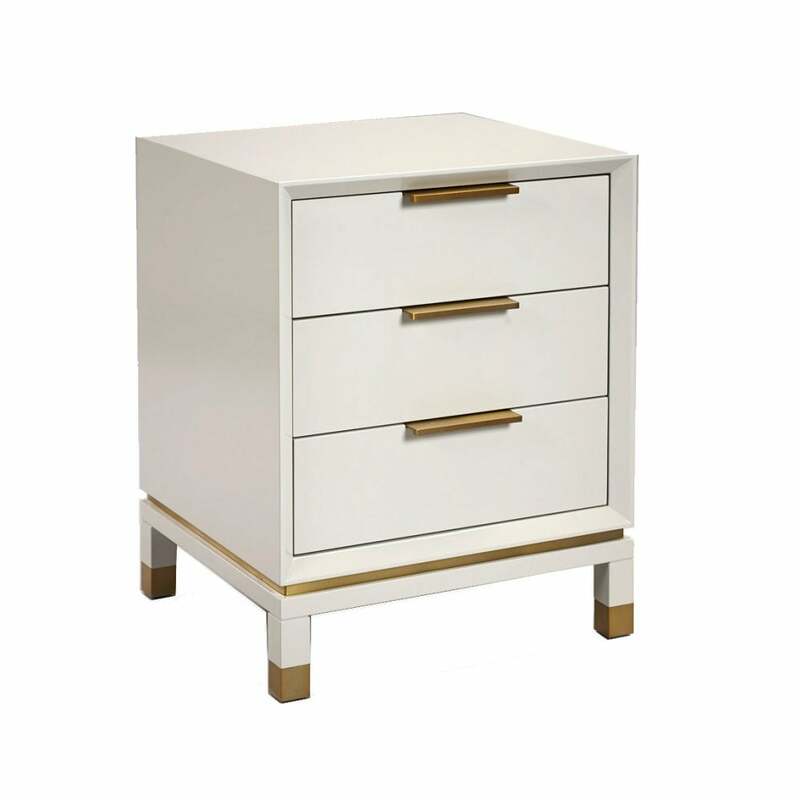 Contemporary chic with art deco style metallic detailing, introducing the Baxter bedside table from Robert Langford. The French Grey lacquer finish on the bedside table is a beautifully calm colour for a neutral bedroom scheme. The feet and handles feature a brushed brass finish, on trend with the current popular metallic style. A quality finish ensures the three drawers are fully lined. Match the lacquer with Little Greene’s French Grey paint. Style with faux fur throws, soft creams and white walls for a calm, relaxed interior.